A loan of $1,000 helped a member to restock more groceries for her stall. Tofarirepi is a married mother of three school-going children who stays in Crowborough, Harare. She stays in a two-room rented house with her husband and children. Her husband is a security guard at a nearby car park. Tofarirepi operates a small roadside stall selling groceries and vegetables. She started her business five years ago and has been using her profits to pay school fees for her children. She is a very hardworking woman. She wakes up early in the morning going to the nearest vegetable market where she restocks fresh fruits and vegetables that she sells at her stall. Tofarirepi heard about Thrive through a friend and decided to join in March 2018. She came with her other three neighbours and they formed a group that they named Ladies Moment. The group received business training and a combined loan of USD 1,000. Tofarirepi used her portion to restock more groceries for her stall. She is very confident that this loan will help her to improve her profits. 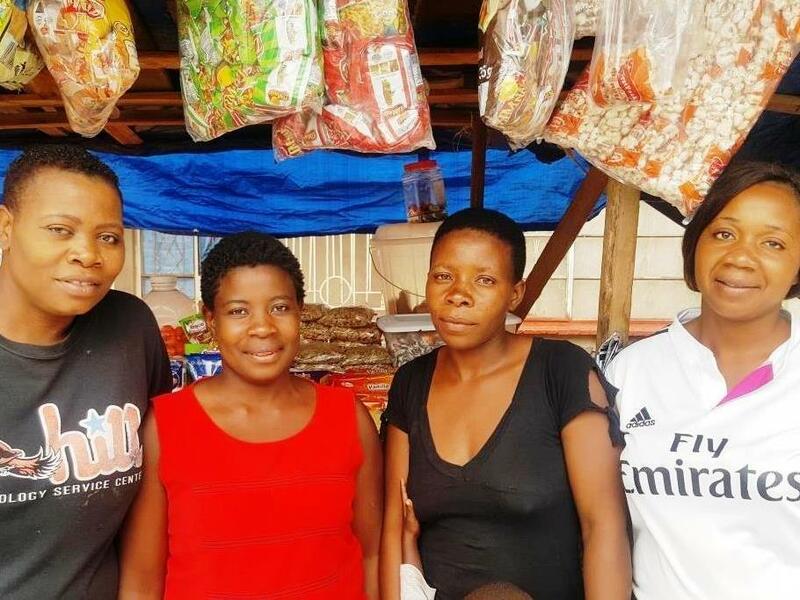 She has a plan of buying a wooden structure and starting to operate a tuckshop to improve sales during the rainy season since she is operating at an open space at the moment and cannot sell when it’s raining.